Armor Of God Fear No Evil Challenge Coin | BUDK.com - Knives & Swords At The Lowest Prices! 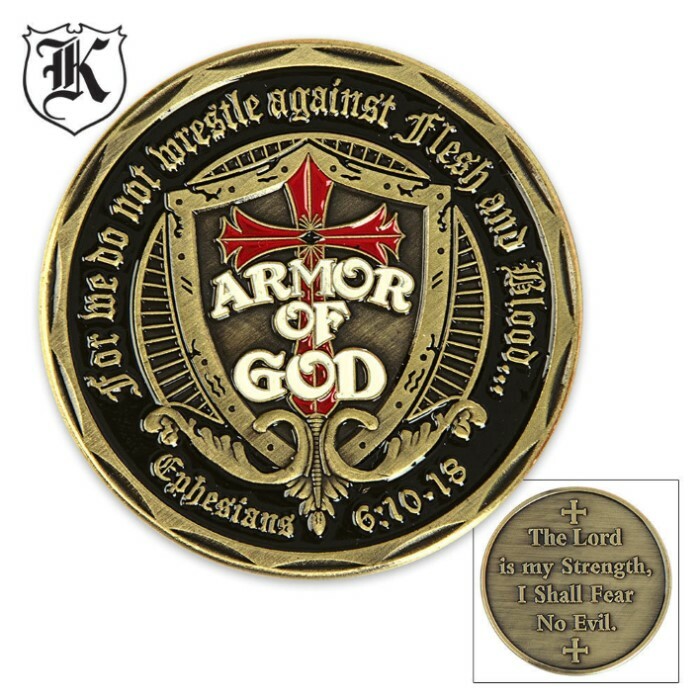 Reach no further for a reminder of your faith and resolve than our brand new, exclusive Fear No Evil Armor of God challenge coin. 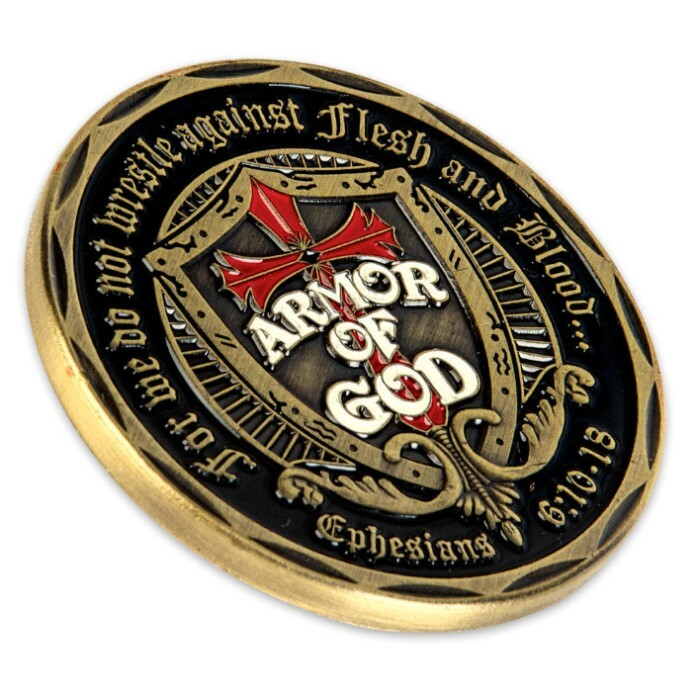 This handsome challenge coin features full-color Armor of God artwork depicting a shield, as well as, the Biblical reference to Ephesians 6:10-18 on the front. 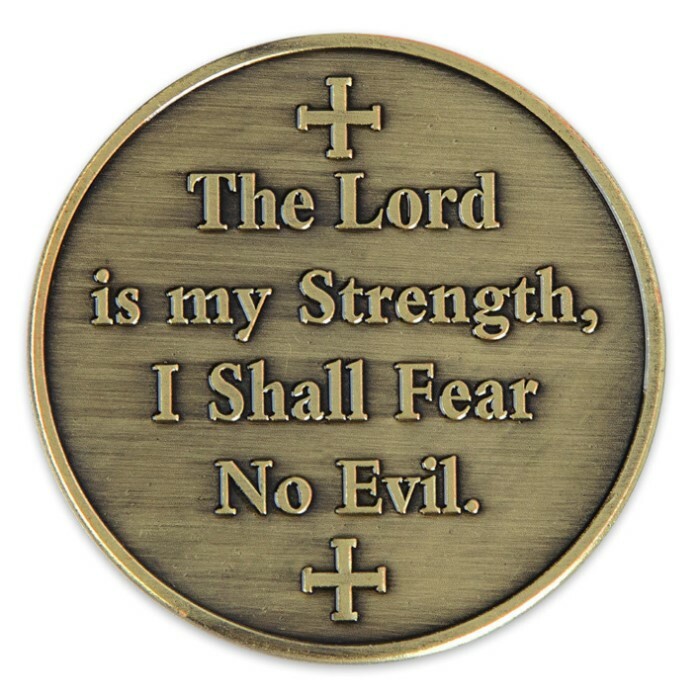 A decorative relief on the back with the words "The Lord is my Strength, I shall Fear No Evil" completes the design. Donald Trump Full-Color Presidential Coin - Crafted Of Metal-Alloy, Gold-Plated, Collector’s Item, Intricate Colorful Detail, 40 mm - Dimensions 1 1/2"
Nicely made, when you get the BOGO it is a geat time to buy for gifts. Bought 6, all my guys who need the reminder get one. I purchased 2 of these, one for myself and one for my son, when i received them and opened the package, immediately my wife wanted one. Excellent quality and a fair price. Highly recommended. My Friend Really Loved the Armor of God coin ! Keepsake for Ever ! Bought this as a gift for my stepmother and she loved it. The coin looked even better than it looks in the picture. Highly recommend. received this coin through mail order & was surprised it was so quick! !I enjoyed this coin to help in my faith of JESUS!